October 26, 2015 – Lockheed Martin and NASA have completed the majority of Orion’s Critical Design Review (CDR) which means the spacecraft’s design is mature enough to move into full-scale fabrication, assembly, integration and testing of the vehicle. Orion’s CDR kicked off in August of this year. The review focused on the design for Exploration Mission-1 (EM-1) as well as additional common elements that will be included on the Exploration Mission-2 (EM-2) spacecraft. These elements include the structure, pyrotechnics, Launch Abort System, software, guidance, navigation and control, and many others. Although the EM-1 vehicle is designed to accommodate all the necessary elements for human exploration of deep space, systems unique to the EM-2 mission, such as crew displays and the Environmental Control and Life Support System, will be evaluated at a later EM-2 CDR. Next month, a test version of Orion’s service module, provided by the European Space Agency, will arrive at NASA’s Plum Broom Station near Sandusky, Ohio, for testing and analysis. 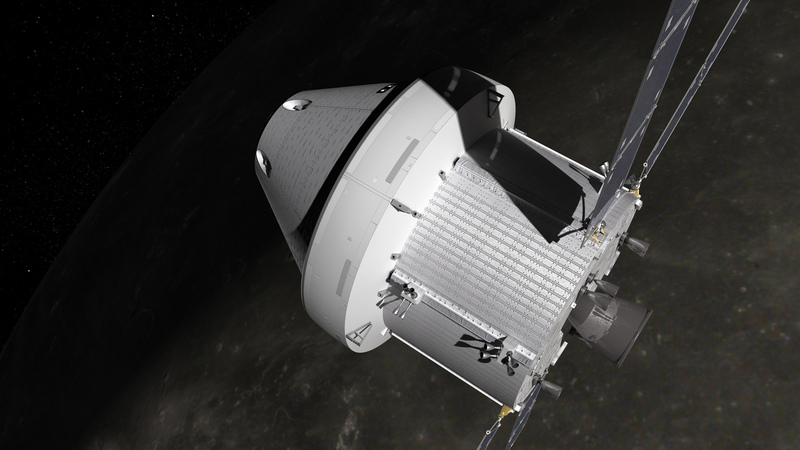 The Service Module CDR and a presentation to the NASA Agency Program Management Council will complete the Orion EM-1 CDR process. In early 2016, Orion’s crew module pressure vessel will be shipped to the Operations and Checkout Facility at NASA’s Kennedy Space Center where it will undergo final assembly, integration and testing in order to prepare for EM-1. During EM-1, Orion and NASA’s Space Launch System (SLS) will be integrated for the first time. Orion will be launched into lunar distant retrograde orbit — a wide orbit around the moon that is farther from Earth than any human-rated spacecraft has ever traveled. The mission will last more than 20 days and will help certify the design and safety of Orion and SLS for human-rated exploration missions.